On behalf of admin of JML Law, A Professional Law Corporation posted in Police Misconduct on Sunday, Dec 03 2017. Police misconduct is the most discussed issue in the U.S. nowadays – after sexual harassment. For ages, numerous cases of police misconduct and brutality have resulted in the nation-wide loss of trust in police. Fact: a U.S. citizen is killed by a police officer an estimated every 7 hours. But the police in Long Beach and in other areas of California will never be able to regain public trust as long as they keep reinstating cops fired for misconduct and police brutality. A recent report by The Washington Post revealed that nearly 25% of police officers fired for police misconduct have been reinstated in the past decade. Statistics provided by the Post shows a disturbing trend: cops that were convicted of police misconduct and subsequently terminated are allowed to get their jobs back. Here at JML Law, our experienced police misconduct attorneys have reviewed the shocking statistics and explained how thousands of police officers convicted of using excessive force, police brutality, false arrests and other police misconduct offences, get reinstated in the U.S. Fact: police officers are indicted in less than 1% of murders of U.S. citizens. By contrast, over 90% civilians are indicted in killings. The troubling report by the Post showed that since 2006, 451 of at least 1,881 cops booted off for misconduct from police departments across the U.S. were reinstated. Our Long Beach police misconduct attorney explains that police chief decisions, such as termination of police officers, can be overruled by labor lawyers across the country. Most of the times, those lawyers are helping police officers to get reinstated under the pretense of union-mandated appeals. Of the cases of police misconduct reviewed by JML Law based on the Post’s findings, one of the reinstated officers was convicted for shooting and killing an unarmed civilian. Another cop was convicted for sexually abusing a woman in his patrol car. In a more bizarre police misconduct case, a police officer challenged an arrested civilian to fight him for his chance to be released (all while the latter was handcuffed). So if police officers who kill and sexually abuse U.S. civilians are able to get their jobs back after termination, can the police ever regain public trust? 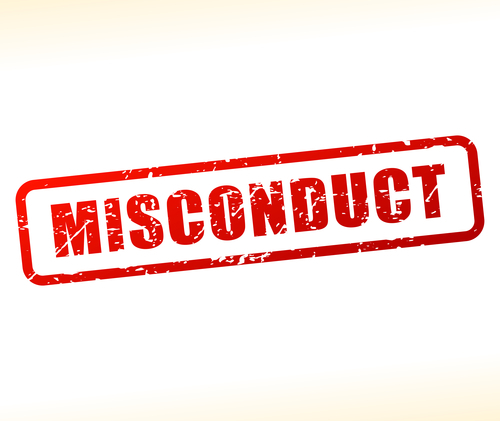 Labor police misconduct attorneys that review such cases typically admit that a police officer was guilty of police misconduct, but argue that police departments did not have enough evidence to terminate the cop or were too biased when firing the police officer. Police misconduct officers getting reinstated: How common is it? The Post obtained the disturbing data after filing open records requests with the U.S.’s 55 largest municipal and county police forces, of which 18 refused to disclose their data. A police misconduct lawyer here at JML Law explains that the public is being kept in the dark about the real scope of the problem, as those police misconduct cases that make headlines account for only a small percentage of the overall firings of police officers in the country. Not to mention that there is no national database that would study or track termination of police officers, let alone the reinstatement of fired cops in the U.S.
Only a handful of cases of local fired police officers getting their jobs back actually become public, while other hundreds or thousands of cases remain underreported. Speaking from our over 35 years of experience handling police misconduct cases and obtaining costly settlements on behalf of our clients, JML Law’s police misconduct attorneys note that most police departments keep their police personnel records, including termination, hiring and lawsuits, sealed and inaccessible to the public. Here at JML Law, we have helped victims of police misconduct, wrongful convictions, false arrests and police brutality to seek legal action against cops in Long Beach and all across California. Consult our Long Beach police misconduct lawyer by calling at 818-610-8800 today or send an email to get a free initial consultation on how to bring police officers to justice in your particular case.